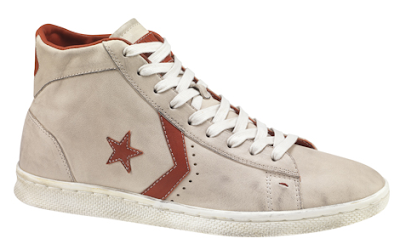 It's been many years since there was a Converse John Varvatos shoe that featured the star and chevron logo...actually I think the last shoe was the JV World Class Trainer 2...which I have in the Brown/Lime/Gold colorway. 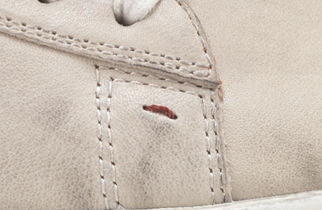 Anyway, these also come in a black colorway, but I really like the worn look of the white/red that you see below. In the second picture you will see a nice touch with a red thread pushing through the leather. 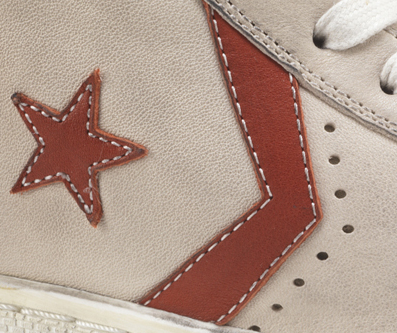 These aren't the same Pro Leathers that used to run the NBA, ABA, and NCAA courts, but there is enough of the old school to make these a pretty interesting release.